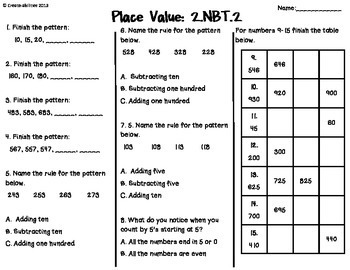 This set has 6 formative assessments that align perfectly to the common core standards for second grade. 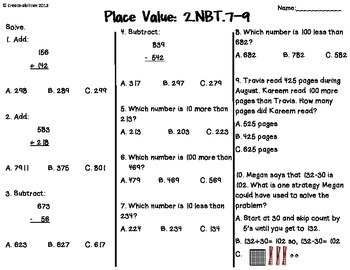 There are six tests and answer keys for the Numbers in Base Ten standards. 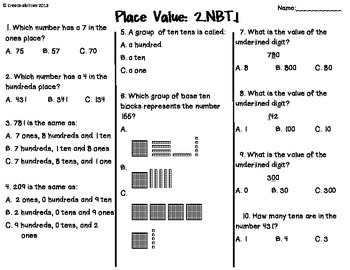 Six place value tests and answer keys to help determine what your students know and where their learning gaps are located. 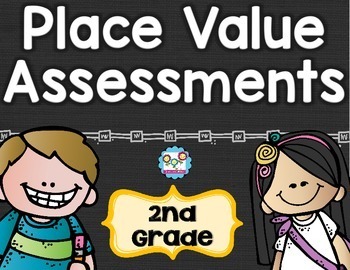 These tests work great as formative or summative assessments during your place value units. Feel confident that you are comprehensively and effectively teaching your students every skill in the standard. You will receive 16 pages of directions, tests and answer keys. Check out my preview for a closer look at this product!